Enrst Hilger is a philanthropist, art curator and gallery owner. He founded the Galerie Ernst Hilger in 1971, located at Dorotheergasse 5 in Vienna’s 1st district. The gallery represents the works of artists such as Erró and Mel Ramos, along with exponents of Austrian modernism from the 1960s onward and the main exponents of the most important international art movements of the 20th century. Hilger NEXT provides artists from cutting-edge countries with a platform. In order to extend the cooperation with international museums the HilgerBROTKunsthalle was inaugurated in 2009. 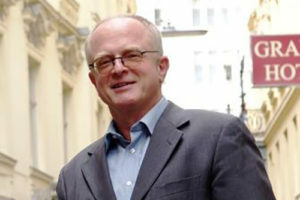 Hilger was the head of the FEAGA for several years and member of numerous art fair committees including Art Basel; he acted as the longest-serving president of the Austrian Gallery Association and was instrumental in establishing the present conception of the role of galleries as partners of museums, collectors and representatives of the state. The roster of represented artists reflects the long history of the gallery.